Lightning Box Games has launched its newest slot Panda Pow that joins a long list of slots that are based on the Orient theme. The mobile slots also contain same spectacular visual grace like other games from the developer. The slot is based around the main character from the movie Kung Fu Panda. You can look forward to getting frequent wins throughout the game. Lightning Box Games have experience of more than a decade in supplying superior-quality games to the gaming industry. The players enjoy the various styles and bonuses offered by the company. This slot is one of the best mobile slots from them. This one of the best mobile slots is played with five reels and twenty-five fixed paylines. The reels are set against the backdrop of red colour that is marked with Chinese inspired lettering. The symbols on the reels include an animated panda that’s a martial artist, lucky gold coins, goldfish, lanterns and decorated fans. Low paying symbols are depicted by regular playing card icons of 10, J, Q and K. While gold coins, lanterns and fans get you a payout of up to 100 coins for any payline, the goldfish awards you up to 200 coins. However, the highest paying standard symbol is the baby panda which rewards you with 500 coins for landing five on any payline. Scatter and Wild- Instead of having two different symbols for wilds and scatters like other online slots, this slot has only one symbol that acts as both. Being a wild it substitutes for all other symbols and as the scatter it triggers the bonus round. Free Spins- This feature is prompted by landing five or more panda symbols during a spin. 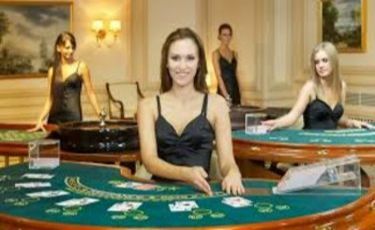 You are awarded five free spins for five symbols, eight for six, twelve for seven and twenty free spins for nine symbols. You will keep landing the golden panda icon on reels 2, 3, 4, and 5 only all through the free games. If you receive five or more scatter symbol during any free spin, then the feature is re-triggered. The Orient inspired slot, Panda Pow is a straightforward game that will be enjoyed by both the beginners and the experienced players. One of the best mobile slots, it comes with an RTP of about 95.51%.